As rental rates in Brickell, Edgewater and the surrounding neighborhoods climb, it may be time to start looking west – west towards Doral that is. 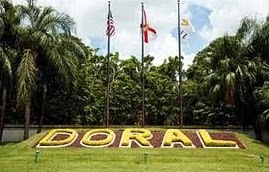 Doral real estate is in the middle of an explosion with new communities under development and construction. Communities like CityPlace Doral, Midtown Doral, and more in the works, Doral is quickly becoming a more appealing alternative for renters. In an October article in The Real Deal, Miami real estate developers and experts predict that increases in rental rates are inevitable. Young professionals are flocking to the Miami hotspots in search of living in the middle of all of the action. Developer Fernando Levy Hara, the brains behind up and coming Crimson Condominium in Edgewater anticipates that rental investors should be able to garner over $2,600 per month for a one-bedroom and as much as $4,000 per month for a two-bedroom based on what comparable rentals are bringing in. According to the article, the developer is guaranteeing $3 per square foot for units at Crimson leased through his mckafka Development Group. $3 per square foot! To give you a comparison of what you get in Doral for the same amount, let’s use a study mentioned in the article that stated “the average monthly rent along the Biscayne Corridor – which includes Brickell, downtown Miami, Wynwood, Midtown and the Design District – rose from $2,250 in January to $2,675 in October.” Doral rental properties fetching $2,600 per month may be a little further from the action in terms of their distance from Brickell but deliver more room and more amenities. Here is a sample of what you get in Doral for about the same monthly rental rate. The Reserve at Doral, 74th Street at NW 107th Avenue (EAST)/74th Street at NW 114th Avenue (WEST). Divided into two sections, the Reserve at Doral consists of three and four-bedroom townhouses with square footage ranging from just under 2,000 square feet to almost 2,300 square feet. Kitchens are loaded with stainless steel appliances, granite counter tops and contemporary custom cabinets. Master bedrooms have his and hers walk-in closets in addition to the master baths with his and hers vanities. Each section has its own clubhouse and pool along with fitness and other amenities. The location is ideal with easy access to the major thoroughfares and a quick drive to golf and shopping. Rental rates typically fall between $2,500 and $3,000 as the rentals currently available do. When you compare the price per square foot, the Reserve at Doral rentals feature price per square foot is well below $2 – falling between $1 and $1.30. Talk about more bang for your monthly buck! Vintage Estates/Vintage Place, NW 107th Avenue. 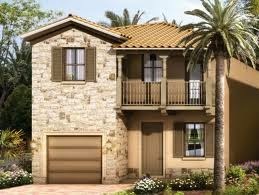 A brand new neighborhood located in the heart of Doral, Vintage Estates and Vintage Place have single-family homes for rent throughout the entire neighborhood. Vintage Estates is a new exclusive neighborhood with Mediterranean style architecture throughout the design along with tons of upgrades and amenities. In each home, renters can find state of the art kitchens with all the brand new bells and whistles. The fixtures and finishes make this a dream home to rent. As for amenities, it has all the stuff that everyone wants – a pool, clubhouse, landscaping and more. For rentals with monthly rates between $2,500 and $3,000, the square footage for homes ranges between about 2,200 and 2,500 square feet. This means that the price per square foot starts these homes is at about $1.00 and goes up to about $1.40. 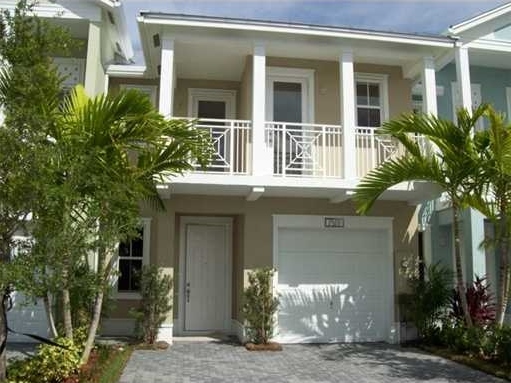 Vintage Estates rentals are very affordable and a top consideration when looking at renting in Miami-Dade. In addition to Vintage Estates and the Reserve at Doral, other Doral rental properties feature prices per square foot at the same level -- $1.00 to $1.50. Essentially, for about half the price per square foot, Doral rentals equate to a brand new single family home or lovely townhouse rather than a one or two-bedroom condominium residence with only about 1,000 square feet in Brickell. Suddenly, a 15-minute drive to Brickell is not so long! Something to think about, huh?